At Adams Plumbing, we offer a full range of residential and commercial plumbing services, and we are committed to providing professional, honest and affordable service on every job. 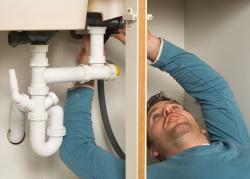 Whether the job is big or small, residential or commercial, simple or complex, a plumber from Adams Plumbing can help! For more information or to receive a estimate, give us a call today.